While some people get excited every fall for the debut of the heralded Pumpkin Spice Latte, I am the girl patiently waiting for the inevitable return of the peppermint mocha. While I know it’s available year-round, for me this minty treat is best savored slowly while strolling down a street in the winter, checking out Christmas lights and window shopping. Most of the year I drink straight-up black coffee so when December rolls around my first sip of the peppermint mocha is pure chocolatey, sugary bliss. This year I decided to take that deliciousness and turn it into a Jello shot. I’ll admit I was a little concerned about the basic idea of gelatinous chocolate, or gelatinous coffee for that matter. Usually when I think Jello, I think fruit so this was a bit of a stretch for me. After doing some Google researched, I made my first batch using coffee, hot cocoa mix, a blend of alcohol and a touch of coffee syrup (have you tried this stuff? It’s like crack!). The result was good but it tasted a bit flat and it was way too firm. I like my Jello set, but I don’t want to chew it like a steak. My next batch was perfection. I think what really rounded out the flavor was the addition of cream to the Jello. It gave the shot some depth and a much nicer texture — lightly bouncy with a hint of pudding. 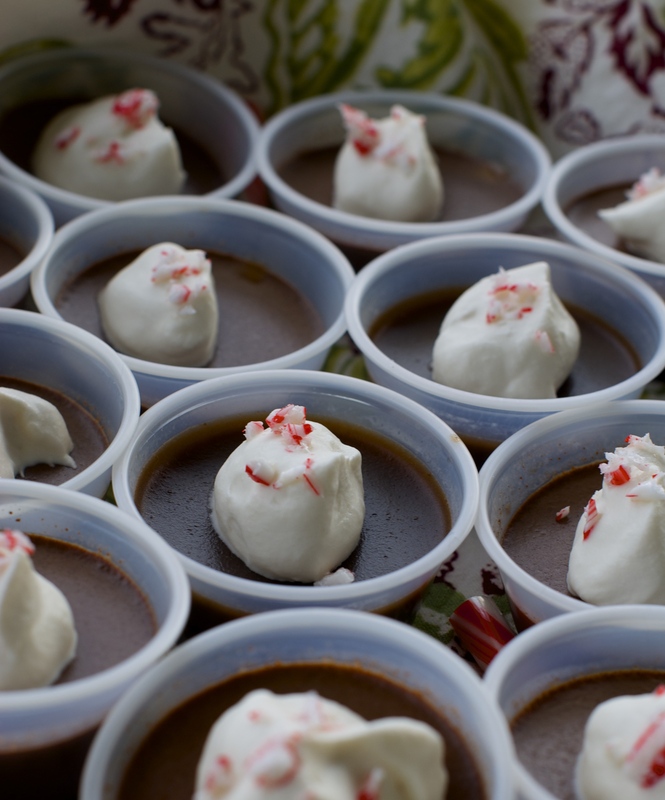 Topped with a dollop of coffee-infused whipped cream and a sprinkling of crushed candy canes, they were insanely good. They also look super adorable served in espresso cups. The batch of shots I brought in for our pre-Thanksgiving office party Wednesday afternoon, also known as our “no more turkeys!” party. 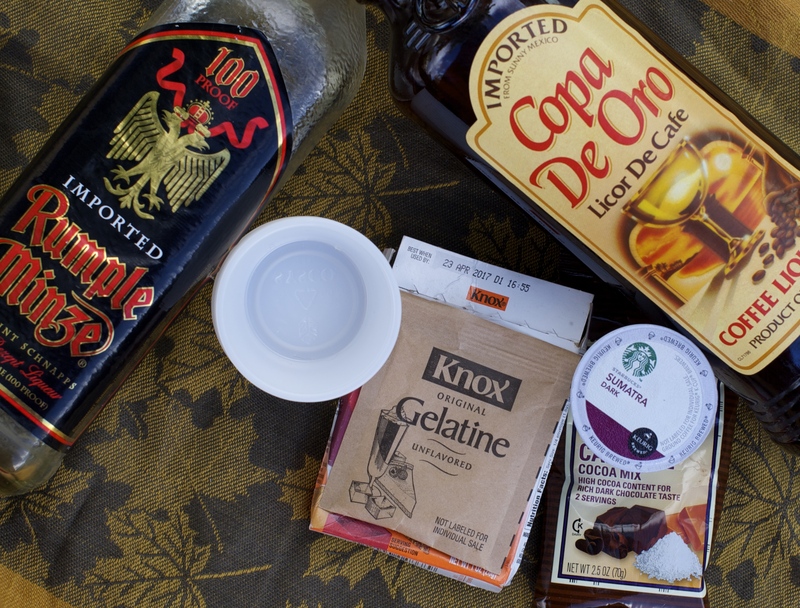 Pour cold coffee into a small sauce pot. Sprinkle gelatin over coffee, allow to bloom for several minutes. Heat over low heat until gelatin dissolves. Add water, cocoa mix and syrup. Once everything is dissolved, remove from heat. Pour in cream and a dash of salt. Pour mixture into bowl, add booze, stirring until well-incorporated. Taste and adjust flavor as needed. 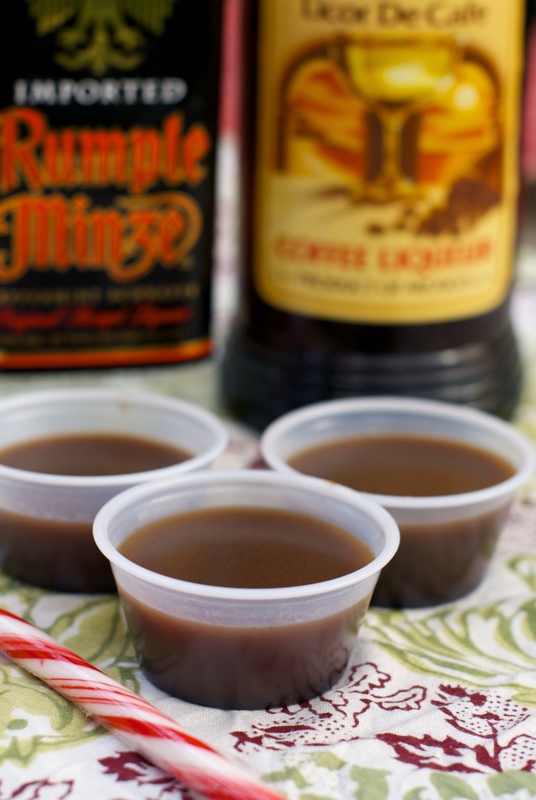 Pour into portion cups, espresso cups or shot glasses and allow to set for at least 4 hours. 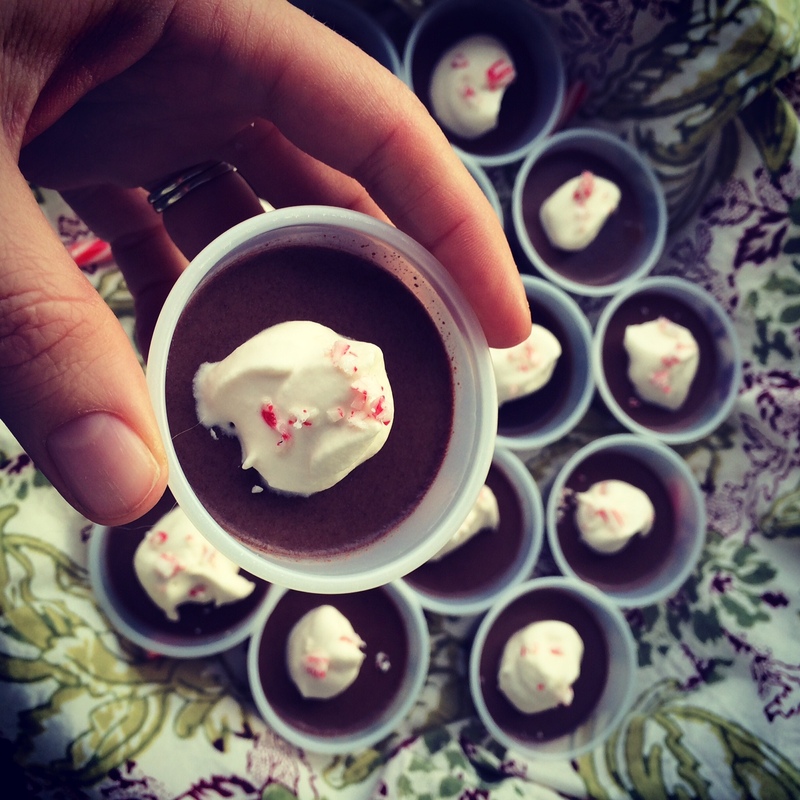 Top with whipped cream and candy cane pieces. Enjoy! 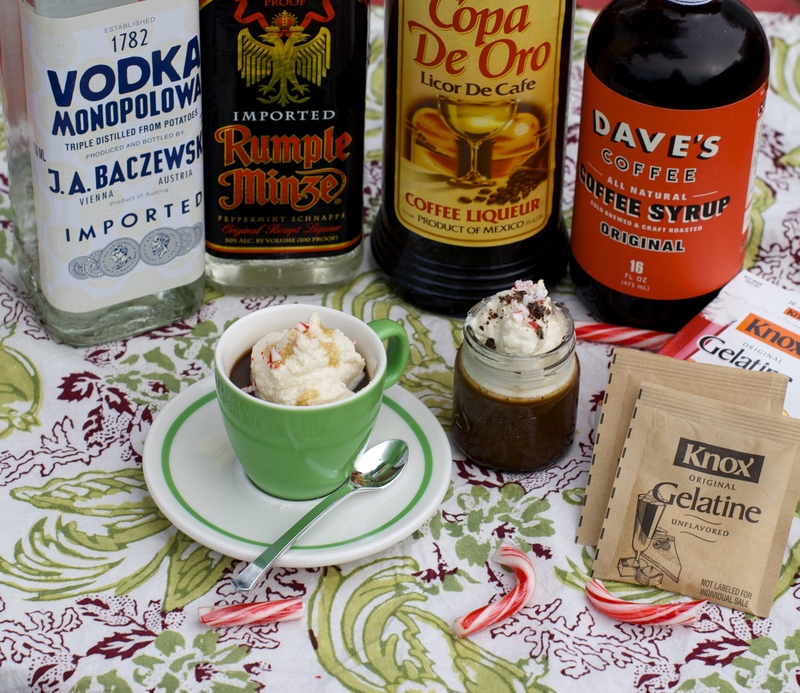 This entry was posted in Appetizers/Party Food, Cocktails, Drinkables, Edibles and tagged boozy, chocolate, coffee, food, holidays, jello, jelloshots, mocha, peppermint, recipes by Jessamine in PDX. Bookmark the permalink. Nope! 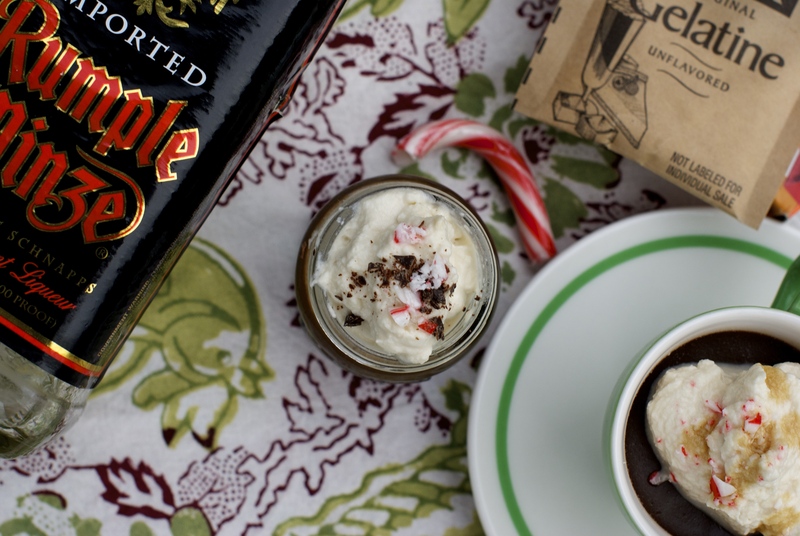 Planning another one as I type…thinking hot buttered rum. I don’t know how this became a thing to me but it’s hard to stop now. I just keep thinking…hm, that would taste good as a boozy shot of Jello! Thanks! They would certainly be great for Christmas, especially if everyone likes getting a bit tipsy. 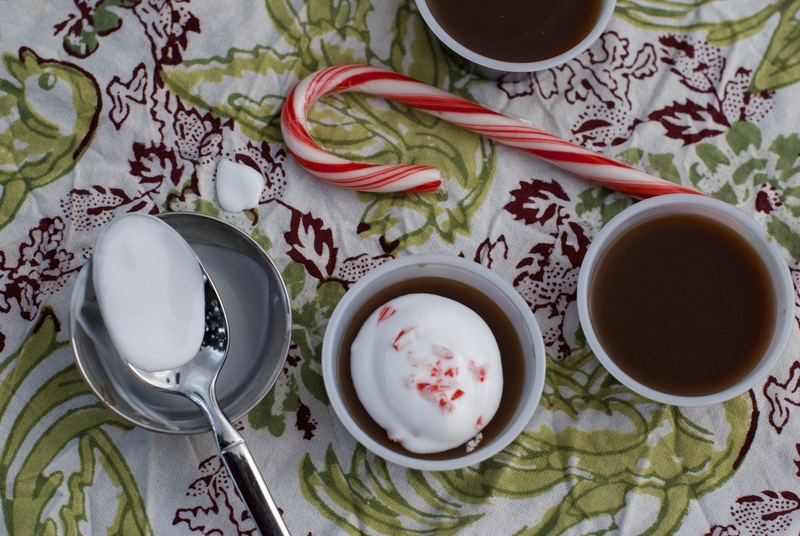 =) I am a huge believer in peppermint and chocolate — it’s pretty much a magical combination. This makes me want to throw a party, just so I can serve these and be acknowledged as brilliant! And I think you had as much fun staging the photos as developing the recipe–the pictures are wonderful! ha! I don’t know if any of my co-workers commented on my brilliantness but they did offer many thanks for the booze. 😉 And yes, I have WAY too much fun staging the pictures. I’m sure my neighbors think I’m crazy because I’m constantly carrying trays of food outside and setting up props, but hey, I give them something to stare at so there’s that. Keeping life interesting, right? i would also like to throw a party, but a party for one. 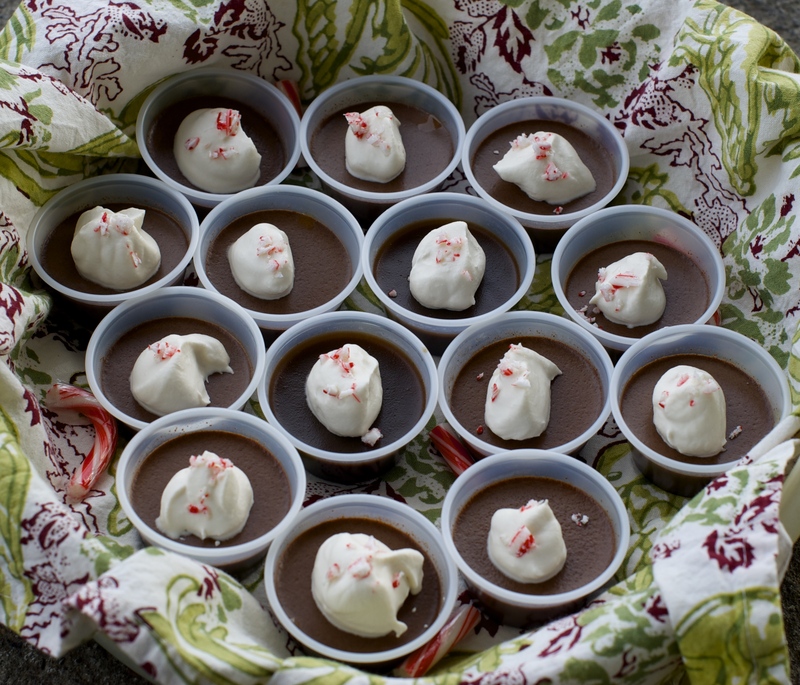 these are amazing, and i agree that peppermint + chocolate in December is a great combination. Can you top this one?? ?